How often have you heard “I’ve tried to sell on line but it didn’t work.” Lots of times I bet! There may be many reasons for the lack of success, the wrong market, the wrong product, too much competition, no market at all, a poor listing, you’ve guessed it I am talking about eBay. The reason being that most people think that online selling begins and ends with eBay (occasionally Amazon) and never consider any other options. The thought of setting up a website on the back of eBay sales never occurs. Often it is dismissed as being too complex to do or too costly. The skills needed can only be used by the practitioners of the dark arts of HTML or FTP! Well it need not be like that, about 18 months ago my business faced a crisis due to one of eBay many rafts of change. I learned from that that I needed to diversify into other markets and methods of selling I had no plan B. So I looked at other products and other methods of selling. I have written a report that details how I did this; it is called “Successful Online Selling” how to get it right first time every time. I am giving it away Free, Gratis and for Nothing to thank all my subscribers. Click the link or the graphic to download your copy now!! Let me know what you think by leaving a comment on the blog. Thanks for the free report. It is chock full of great content. 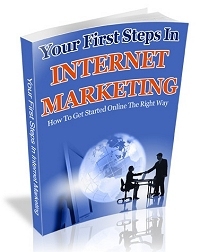 It’ll definitely help a lot of beginners looking for a blueprint of how to get started online.